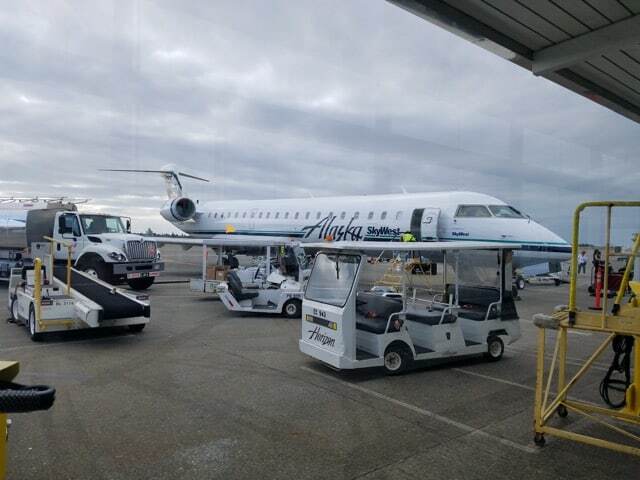 Last week Alaska Airlines announced they would begin service out of Paine Field (PAE) located just north of Seattle in Everett. Currently the airport is utilized by Boeing. A new passenger terminal is to be built and operated by Propeller Airports. I have received some additional details of Paine Field passenger service that contradicts earlier media reports. A Seattle Times article quoted Mukilteo Mayor Jennifer Gregerson, an opponent of passenger service at Paine Field, as saying that passenger service would only operate between 7am and 6pm. Still, she [Mayor Gregerson] seemed resigned Wednesday to dealing with commercial air service coming to Paine Field. Gregerson said the city has been in protracted discussions with Propeller on how to mitigate the effects of the project if it goes forward, and has found the developer responsive. She said Propeller has agreed to limit the number of flights to a maximum of 22 per day and to restrict commercial air operations to the hours from 7 a.m. to 6 p.m. This seemed strange to me (and many FlyerTalk members). Surely Alaska Airlines wants commuters to utilize Paine Field flights. Having operations cease at 6:00pm would severely limit that ability. I reached out to both Mayor Gregerson and Alaska Airlines to confirm the flight limits. While I did not hear back from the Mayor, I did get a response from Alaska and was connected with a representative for Propeller. That is actually not correct, we expect the terminal operating hours to be approximately 6am until 10pm. A FlyerTalk member reports receiving similar information from a Snohomish County employee working on the lease. Though I am not sure who is correct, I would lean towards believing the company that will be running the airport and is very well acquainted with the legal documents of the deal. Flights until 10pm make a lot more sense for Alaska.